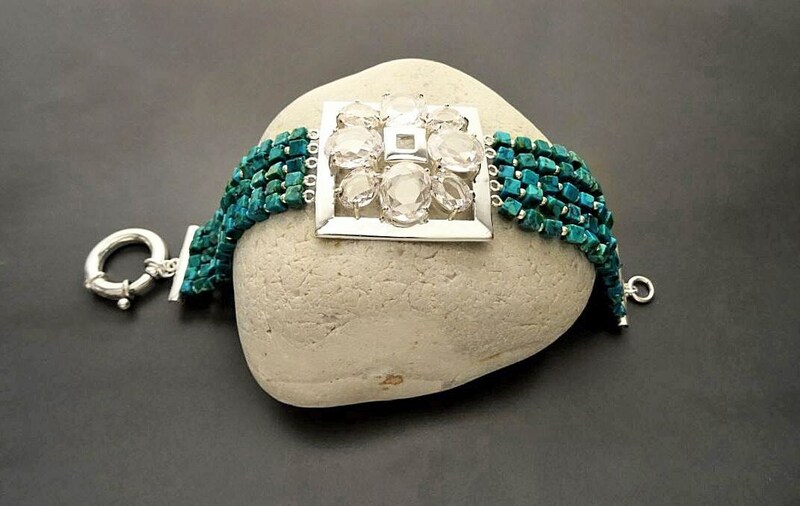 Statement Turquoise Bracelet - Sterling Silver Square set with Cubic Zirconia - Gemstone Bracelet - Sterling silver Bracelet - Gift for Her. 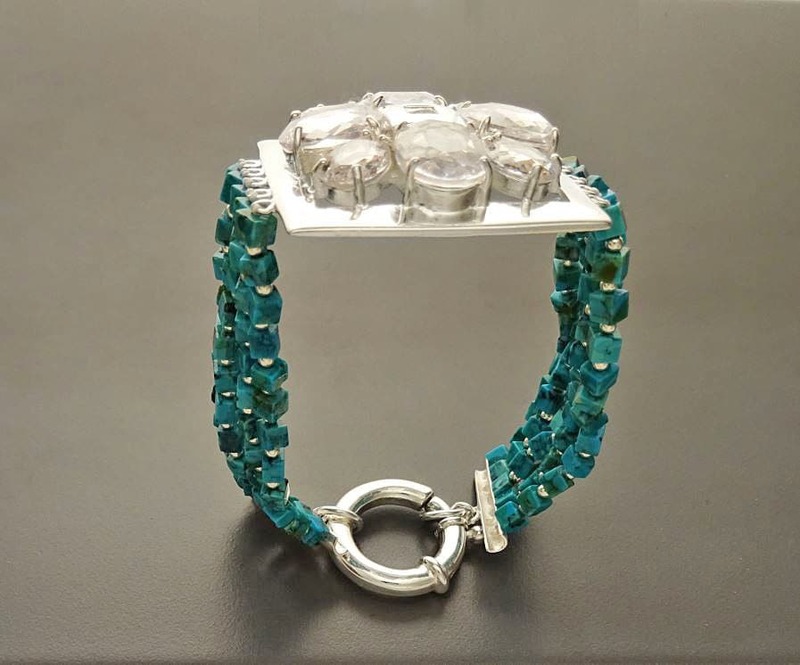 Dramatic and Graphic in design this Modern Turquoise Bracelet with a Sterling Silver Central Square set with Cubic Zirconias is Absolutely Gorgeous. 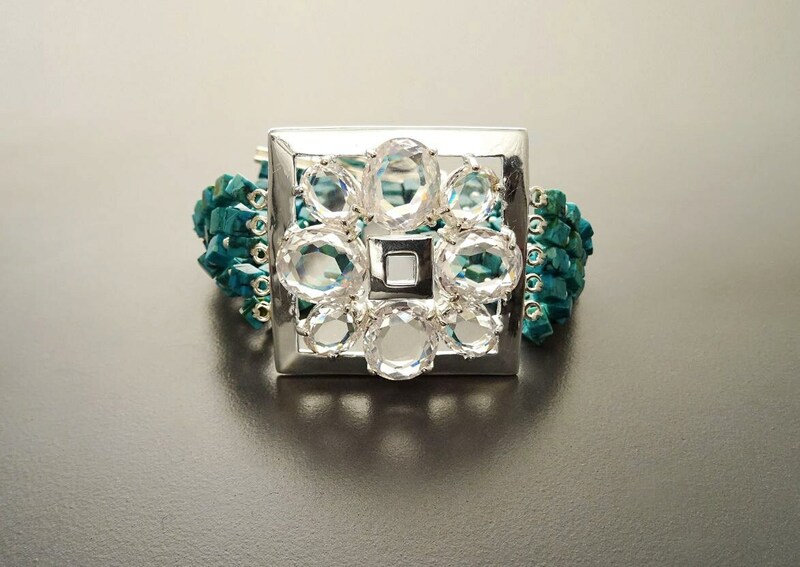 Central portion is Composed of a Big sterling Silver Square set with 8 Extra High Grade Cubic Zirconia Gemstone Cut . The Wide of the pendant is 3.5 cm. Bracelet Lengt : 19 cm. Average silver weight: 15.0 gr. Un bracelet qui ne laisse personne indifférent : il est juste magnifique ! The bracelet is lovely. Beautifully packaged and prompt delivery. Can't wait to wear it!